The Second Congress of Architects and Specialists of Historic Buildings, held in Venice in 1964, adopted 13 resolutions, the first being the International Charter for the Conservation and Restoration of Monuments and Sites, better known as the Venice Charter, and the second, put forward by UNESCO, provided for the creation of ICOMOS. From 21 to 25 June 1965, the Constitutional and First General Assemblies of lCOMOS took place in Warsaw, Poland. Besides the delegates from 26 countries, representatives of three major organisations who had contributed to the creation of lCOMOS participated as observers: UNESCO, ICCROM, ICOM (International Council on Museums) and UIA (The International Union of Architects). View the 1965 photo gallery. What? Round table and cocktail. Upon invitation. What? A very important project that will be extended in three years consists in a comprehensive and detailed survey and documentation of the current state of conservation in Christian buildings inscribed as “Cultural Monuments” in Albania. What? Elaboration of the Albanian Charter for Restoration that ICOMOS-Albania foresees to complete within the year 2015. When? There are programed different meetings that will have start in 18 April 2015. Where? University of Tirana, Rruga e Elbasanit, Tiranē. Archaeology and Culture Heritage Department. Día Int. de los Monumentos y Sitios / Presentación del libro “40 años ICOMOS Argentina” / Presentation of the book "40 years ICOMOS Argentina"
What? New exhibition. presented in the “Erebuni” museum, and taking account the fact that Erebuni is an archaeological site, only archaeological sites will be exhibited. What? Joining the important mission of commemorating the centenary of the Armenian Genocide, ICOMOS/Armenia will also implement a number of events, taking into account the fact that in the result of Genocide heritage was lost. A significant part of the monuments, thousands of churches, monasteries, religious and secular values of the architectural heritage, being in Western Armenia /Turkey/,were completely destroyed and damaged during the evacuation and massacres of Armenians. An exhibition will be organized in April ,dedicated to the lost and damaged heritage because of the Genocide, where the monuments of Western Armenia will be exhibited. Lectures will be held in Republic of Armenia and beyond its borders especially on the preservation of the Armenian heritage in Western Armenia. What? The Annual Jim Kerr Memorial address pays respect to his legacy by perpetuating open inquiry into the understanding of place and the constant review of progress in conservation planning practice.​ The event will be followed by a tour of Sydney Opera House. Brief report about the programs organized in China for the celebration of 4.18 International Day of Monuments and Sites. Activity: Exhibition of old photographs of each district of Santo Domingo and tour of some of the houses, with the collaboration of CICOP. Where? Each of the districts of Santo Domingo. Where? in the Temple of Our Lady of Carmen, San Miguel de Santo Domingo. 10. Award of April 18, 2015.
Who? Hellenic National Committee under the auspices of the Hellenic Ministry of Culture and the Hellenic National Committee for UNESCO. "There is no Future without the Past"
Who? Organized by ICOMOS Malaysia, Melaka World Heritage Office and Department of National Heritage, Malaysia. In conjunction with 'World Heritage Day Celebration 2015’, ICOMOS Malaysia is challenging our children to show their understanding of our past through an art competition, themed ‘Warisan Kita’ or “Our Heritage” on 12 April 2015. Official contact: Contact Sabiha at admin@icomos-malaysia.org for the Kuala Lumpur competition and Harith at melakawhsb@gmail.com for the Melaka competition. Official contact: Contact Sabiha at admin@icomos-malaysia.org or +603 2693 4182. Conference – Discussion : « l’architecture de terre au mali, un savoir faire à l’épreuve des siècles » / "Earthen architecture in Mali: a time-proofed craft"
What? Conférence animée par : MARIAM SY MACALOU , Cheich Abd El Kader FOFANA , Boubacar H. DIABY, Mamadou KONE. Tacuba 5, Cnetre Histórico, México, D.F. Who? National Centre of cultural heritage, Governor’s office of Ulziit count of Dundgobi province, Museum of Dundgobi province, ICOMOS MONGOLIA. What? Scientific conference is dedicated to International day of monuments and sites and during which will be discussed urgent issues and problems concerning protection and conservation of monuments sites not only of Del uul mountain but in whole Mongolia. "We cordially invite you on the occasion of the World Heritage Day’s Celebration on April 17th, 18th and 19th 2015 with commitment to put slogan of the ICOMOS-World Heritage into action with the coordination of the Youth Awareness Environmental Forum YAEF. Your participation is our inspiration. Our Forum will organize interaction program subject to the Important and Necessary of Heritage on April 18, 2015, in Lalitpur Godawari Area which is the major water resources area and most important heritage side in Kathmandu Valley." When? April 18,2015,Saturday - 1.00 P.M Sharp. 1- Risk management and cultural heritage Seminar. Who? It is organized jointly to the National Architects Association of Peru and the Regional Lima Architects association. The program will include two days. Where? Institute for Peruvian Studies, Lima. Where? National Association of Architects of Peru headquarters. Who? Organized by ICOMOS Peru and the National Association of Architects of Peru. 6- Presentation of the book “Historiografía del Centro de Chiclayo y del Palacio Municipal”. of the Arch. Velia Beltran, Member of ICOMOS Peru. Who? Organized by the National Architects Association of Peru, the "Grupo Expression" and ICOMOS Peru. What? No próximo dia 18 de Abril irá realizar-se, na Casa de Estremoz, o 2.º Workshop com o tema "Conservação e Restauro - Preservação do Património arquitetónico, urbanístico e paisagístico". Where? ROMANIA, SIBIU, Astra Palace - 5-7 George Baritiu str. 4 day forum on Saudi Heritage: "Heritage and arts forum"
When? April 20, from 14.00 pm to 17.00 pm. Where? Istanbul Technical University, Taskisla, Istanbul, Turkey. When? April 21, 10.00 pm. Where? Mersin Metropolitan Municipality Congress Center, Mersin, Turkey. When? April 28, from 14:00 pm to 18:00 pm. Where? Dokuz Eylul University, Izmir, Turkey. When? May, 5, from 09:30pm to19:00 pm. Where? Middle East Technical University, Faculty of Architectural, Ankara, Turkey. What? A talk by Mr. Mounir Bouchenaki, Director of the Arab Regional Centre for World Heritage. Please see the attached flier for full details. The event is free but tickets are required. Tickets may be ordered here: https://www.eventbrite.com/e/a-talk-by-mr-mounir-bouchenaki-director-of-the-arab-regional-centre-for-world-heritage-how-the-arab-tickets-16517526366. What? Did you know that Philadelphia’s City Hall is the largest and the tallest City Hall in the United States? And that there are over 250 marble status ornamenting the exterior of the building? To learn more trivia facts and discover one of the City’s most iconic buildings, join us on April 17th as we visit Philadelphia’s City Hall and celebrate, one day early, the International Day of Monuments and Sites. Don’t miss this great opportunity to discover part of Philadelphia’s unique heritage and to enjoy breathtaking views of the city as you ride up to the observation deck, located 500 feet above the ground, just underneath the statue of William Penn. When? 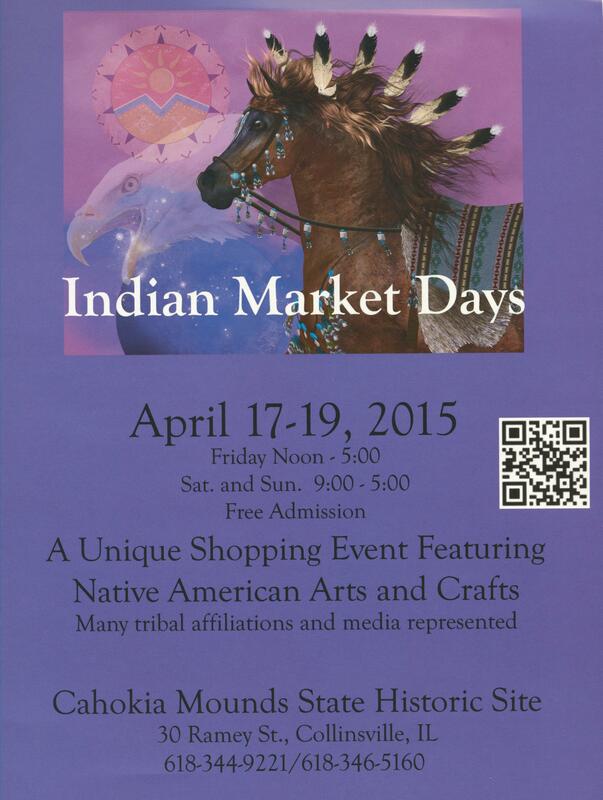 Friday April 17 from Noon to 5 pm; Saturday and Sunday, April 18-19, from 9 am to 5 pm. What? Join staff for demonstrations of the tools used by the American Indian population in northeast Louisiana, prior to European settlement, including the creation of stone points and arrowheads through flint knapping and the use of those points for hunting during Atlatl demonstrations, Archaeology staff will also be on hand, showing how work on discovering Poverty Point’s secrets has progressed over the years. Following the demonstrations, hop on the tram and take a guided tour of the site. When? Saturday, April 18, from 10 a.m. to 3 p.m.
What? Papahānaumokuākea Marine National Monument, the only mixed natural-cultural World Heritage Site in the United States, will be hosting an outreach booth at the annual Mauka to Makai Environmental Expo at the Waikiki Aquarium in Honolulu. The booth will feature the natural and cultural features and significance of Papahānaumokuākea and provide family friendly, interactive, hands-on educational activities to learn more about the Monument and conservation efforts taking place. What? "50 years of ICOMOS 1965-2015: THE STATE OF CHILE AND THE WORLD HERITAGE SITES: RISKS ON VALPARAISO AND CHILOÉ"
The meeting will be attended by representatives of the Chilean State, Senators and Deputies of the Republic, government agencies, heritage professionals, university community and social representatives. The Symposium arises from the need to improve governance on the World Heritage Sites of Chile, especially Valparaiso and Chiloe, places that are affected by risks to their universal and exceptional value. What? As ICOMOS is celebrating its 50th anniversary, it decided to organize a debate not only on contemporary problems faced in heritage protection but also on different ways of solving such issues. The international conference "Heritage in transformation. Cultural Heritage Protection in the 21st Century – problems, challenges, predictions” is organised by ICOMOS Poland and will be held in Warsaw on 22-24 June 2015. What? During National celebration days (11-14th of July)the communities and citizen of World heritage sites (4) and bearers and supporters of ICH World heritage elements (12) will introduce and promote their world heritage properties and ICH elements to public and foreign guests and tourists. What? This Congress is being held in the framework of the commemoration of the 480 years since the beginning of the construction of Fort San Juan de Ulúa. The conference partners also are honoring the 10th anniversary ICOFORT International Scientific Committee on Fortifications and Military Heritage along with ICOMOS International Council on Monuments and Sites celebrating their 50th anniversary. Conference themes include 1) Historical research and interpretation, 2) Conservation, Materials, Rehabilitation and Re-Use, 3) Management and Sustainable Development, and 4) Tourism. Official contact: Dra. Dolores Pineda Campos: Xalapa Avenue # 310, Colonia Progreso Macuiltepetl; C.P. 91130, Xalapa, Veracruz, México. Who? Organizers: Foundation for protection of Natural and cultural heritage - UNESCO accredited NGO, ICOMOS MONGOLIA, National Centre of cultural heritage. What? National workshop will attract ICH bearers and related NGO’s of World heritage sites and National cultural heritage landscapes in Mongolia and discuss actual problems of the protection and safeguarding of tangible and intangible cultural heritage of these sites and their combination. What? Australia ICOMOS’ conference Fabric is a forum to gather and debate the issues associated with the conservation of heritage fabric. Registration will open in April 2015. Please visit the Registration page for further details. Who?ICOMOS Latvia in collaboration with The Latvian Society of Restorers and Wooden Building Renovation Centre “Wooden Riga” with the support of State Culture Capital Foundation . What? The Seminar “Innovative technologies for heritage preservation” is intended to foster dissemination of knowledge of new, innovative technologies and materials for built heritage preservation, especially treating and assessing structural damages and interior finishes while following principle of Venice charter for applying modern techniques namely proving the by scientific data and experience. The target group of seminar is local practitioners of architecture, conservation and heritage as well as stakeholders.